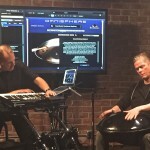 Gulli recently teamed up with synthesizer guru Eric Persing in Burbank, Los Angeles, where they explored Hang/Caisa percussion sounds with Synthesized samples of Gulli’s drum which are included in the all new Omnisphere 2 software synth from Spectrasonics. Comments Off on NEW STICKS FROM VIC FIRTH! NEW STICKS FROM VIC FIRTH! 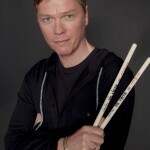 The webshop is now open, click here for Gulli Briem albums & Drumsticks. and Gulli Briem (Mezzoforte, Earth Affair) release date January 2015.